Given the red color of the cabins, they may also end up with red terminals which would make this lift look very much the same as the Sunday River Chondola. This lift will also be running at night just like the Sunday River Chondola as Bromont has night skiing. I doubt this is a D-Line since it’s a 6-8 and it would’ve been a 6-10 if it were. They also didn’t specify the cabin/chair ratio. Orford is 3:1, Sunday River it’s 4:1, and Beaver Creek it’s 5:1. Orford and Sunday River are 6-8 and Beaver Creek is 6-10. Most likely UNI-G-L terminals meaning the ones with 29 windows. I wonder why they think they need the cabins vs just a regular chair. They have a summer lift but it’s the fixed quad next to the high speed quad being replaced. They must be planning to put in a restaurant or something at the top. 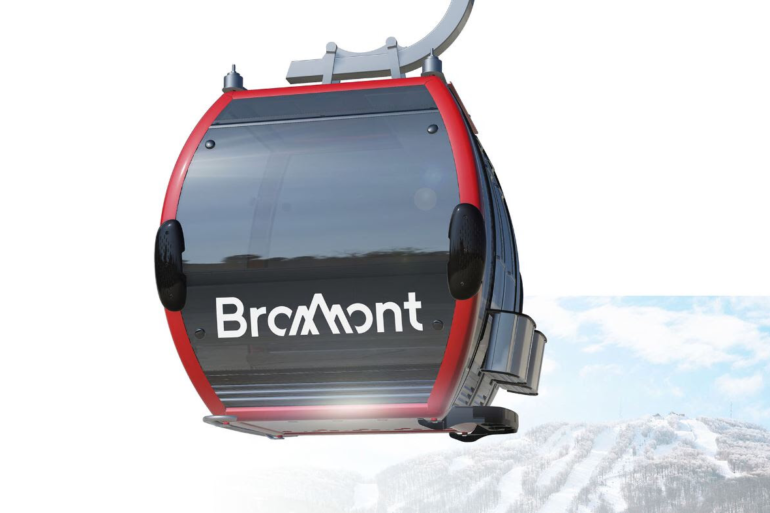 The telemix is so, and not a chair, to be Bromont’s “signature lift” – in the same way La Télécabine is for Tremblant. Apart from functionality, like bringing summer customers to the top faster, or even just offering the option of a comfortable cabin in the winter, it’s a marketing play. Interestingly, the advertisement shows Doppelmayr of Europe’s 6E98 chairs, without bubbles. It would be interesting to see these more stylish and beautiful chairs in Canada! They’re only found without bubbles at Sunday River, and with bubbles at Big Sky and Hermitage Club. The PR picture for the Windham 6 pack is exactly the same. Sunday River has the 6E98 chairs while Orford and Beaver Creek have the EJ chairs. 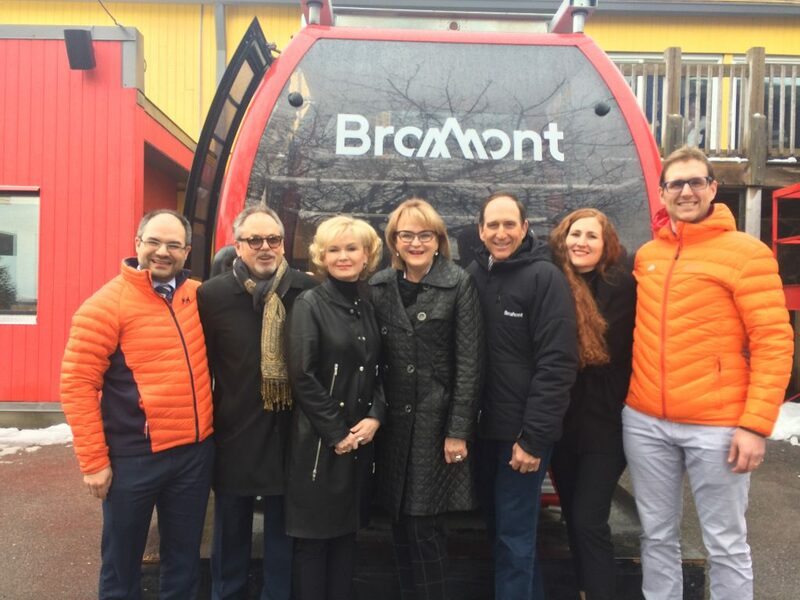 Tremblant has their gondola because Intrawest wanted to have a lift that both skiers and foot traffic could use that went between the Pedestrian Village and Grand Manitou. It didn’t increase capacity over the CLD-260 it replaced (which now serves the Soleil side). Bromont Skier here: the wind in the last 1/3 or the detachable is pretty brutal in the winter. I am really looking forward to being shielded from the winds in the lift.